This book takes as its inspiration the assumption that the atmosphere of intellectual openness, scientific inquiry, aspiration towards diversity, and freedom from political pressure that once flourished in the American Psychological Association has been eclipsed by an "ultra-liberal agenda," in which voices of dissent, controversial points of view, and minority groups are intimidated, ridiculed and censored. Chapters written by established and revered practitioners explore these important issues within the contexts of social change, the ways in which mental health services providers view themselves and their products, and various economic factors that have affected healthcare cost structure and delivery. 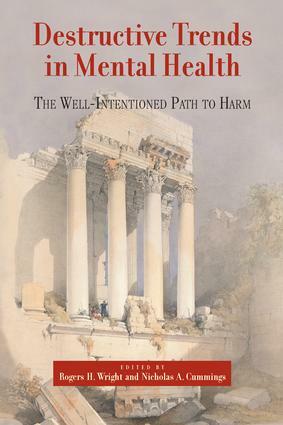 In short, this book is intended to help consumers, practitioners, and policy makers to become better educated about a variety of recent issues and trends that have significantly changed the mental health fields.